One of the scariest things about market panics is their unpredictability. All of us remember the dark days of 2008 and 2009, not so many the October 1987 crash. For me, both of those crashes carried the same sense of disruption—the feeling that things would never be quite the same again. 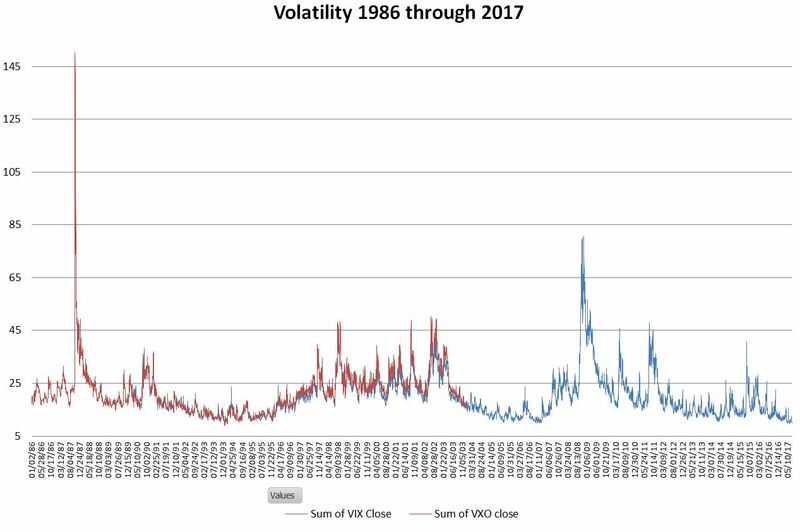 I’ve been looking at the history of volatility because it’s clear to me that volatility spikes are a big danger in the inverse volatility investing that I’m been doing. 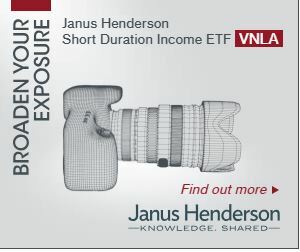 Shorting VXX, or being long SVXY is great while we are in a bull market, but things can get very ugly in a hurry. 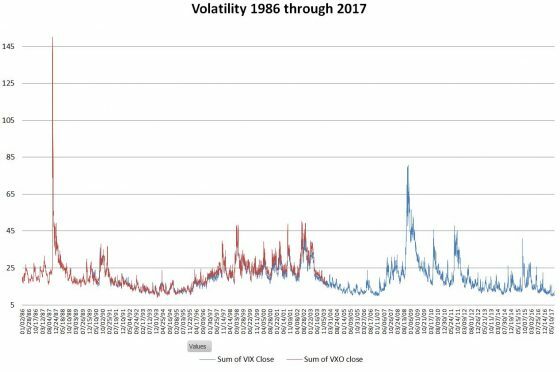 The chart below shows a history of volatility, starting in January 1986. 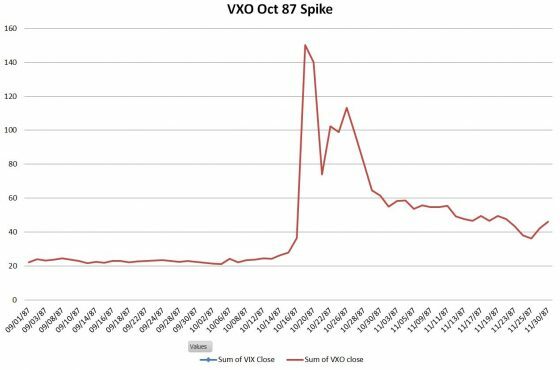 Neither the VIX, or its predecessor VXO existed at that point, the original index started in 1993, but the CBOE has projected the old style VXO index back to that year. 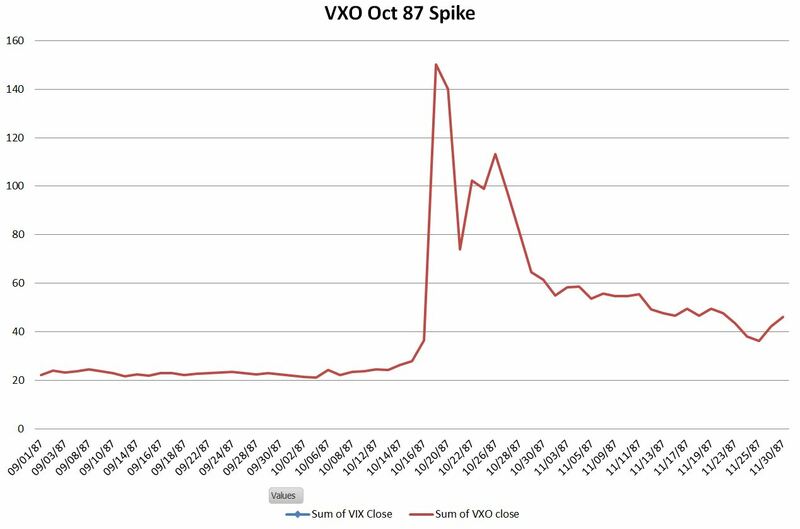 I’ve never looked closely at the original VIX index, which is now called the VXO. 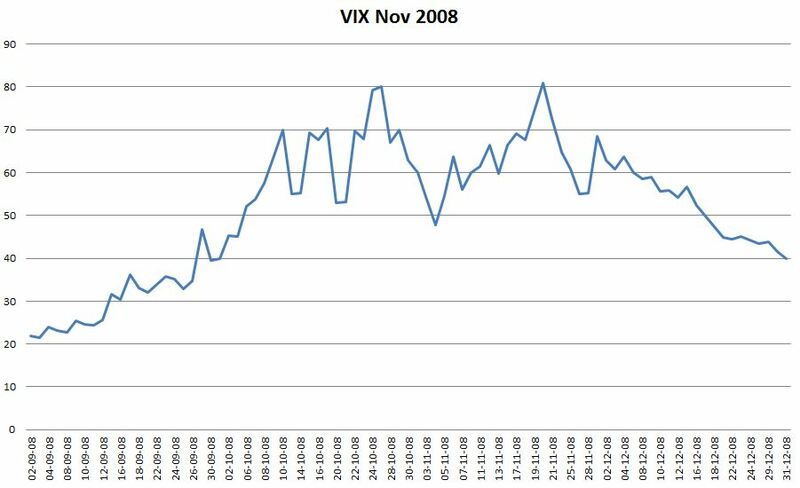 The VIX methodology we now use was put in place in 2003. The chart below shows the two indexes during a fear spike in the fall of 1998. The two track each other closely enough that for normal and semi-normal situations they look comparable. Below, I have zoomed in on the October 1987 and the November 2008 fear spikes. Looking at these two monumental spikes, there doesn’t seem to be anything unusual about the run-up. Nothing in the data suggests that a massive spike in volatility is on the way. 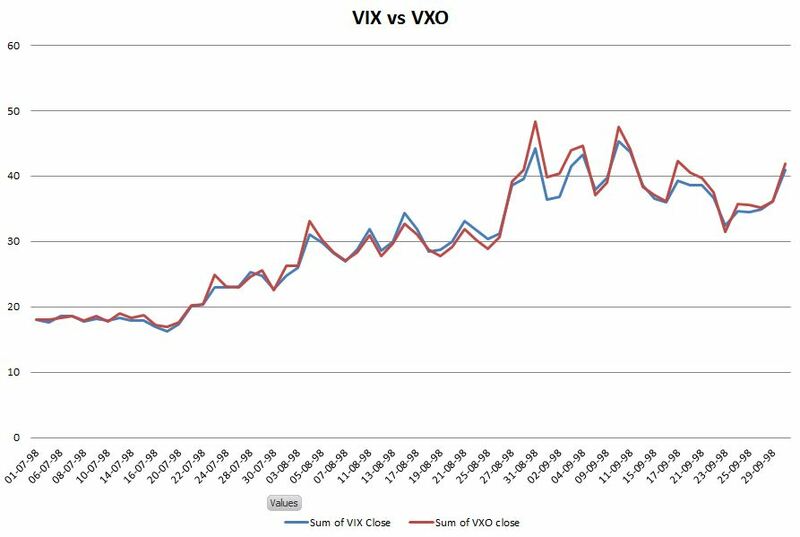 For more information, and access to the raw data used see the CBOE’s microsite on VIX.